When it comes to roofing repair, there are some things that you can do yourself during your regular inspections. Other things though will require more extensive repair work which calls for a professionally trained contractor. If you see any of these things, you will know that it is time to call in the professionals. If you have a skylight and water is coming through, you might need to call in the professionals. You might be able to fix minor leaks with sealant, but if it's a major leak, repairing it will require more know-how and experience. When Should You Call a Roofing Professional for Replacement? Owners frequently struggle when making the decision to repair or install a new roof on a structure. Numerous items must be factored into this choice before hiring roofing professionals to complete the job. Owners can evaluate the current condition of a covering, or rely on the advice of a reliable contractor before entering a written work agreement. The battle to make a good choice begins when an owner notices leaking or other complications. A time consuming, costly replacement can be a real deterrence for owners who cannot easily accommodate the work required; however, consistently repairing a problem can be just as expensive. In some scenarios, replacement is the best choice because the upfront cost saves owners money over an extended timeframe. Leaks, for example, eventually affect the entire structure as they allow water to seep into ceilings, walls, or additional portions of a building. Large leaks or weakened materials call for precautionary actions and professionals typically recommend a new outer layer in these situations. What Considerations are Factored into a Recommendation for Commercial Roofing Companies? How long has the covering been in place? Has it suffered prolonged exposure to extreme weather conditions? Was the original design faulty? Were inappropriate materials used during initial installation? Would a new style provide better protection? Has the problem been repaired multiple times? Various considerations will need to be taken into account depending on initial covering installation, applied materials, and the outside environment. Age will be important if replacement has become a necessity. Coverings last for approximately fifteen years and this timeframe is diminished in areas where weather conditions are extreme. Lack of maintenance will lead to an increased amount of damage to the outer layer of materials. Consistent leaking, torn flashing, and/or missing sections of the outer layer heighten replacement needs. An inspection from a qualified commercial roofing company helps in identifying the extent of damage. Interior walls that connect with the roof can degrade as well and contribute to the time required to lay a new covering. Signs of seepage or moisture marks on the internal portion of a structure indicate the need for extensive repairs. Extreme weather in the form of constant rain, hail, wind, snow, or even harsh sunlight hastens degradation. These environmental factors must be taken into consideration along with items such as the available budget, weather during repair or replacement, time, and relocation requirements. Replacement may not be feasible at the current time if an alternative space will be required while these renovations are taking place. Experienced roofing professionals can offer advice on the best route and will recommended quick action if a new installation is necessary. A proper contract, sufficient insurance coverage, and service dependability will be priorities once this portion of the decision has been made. When most people think about roofing ventilation we have many different attic ventilation myths come to mind. We are going to discuss 5 of the biggest myths when it comes to roofing ventilation. There can be one of the most mis understood aspects of your roofing system. The American Institute or Architects claims that over 90% of the homes with in the United States has over the average moisture content in their homes. The same as buying the right pair of pants, correct size shoes, making sure you have the right amount of attic ventilation for the size of home is equally as important in making sure things operate correctly. If your home has insufficient ventilation it can lead to a wide variety of problems, during the winter it can lead excess moisture build up in the attic and during summer months can lead to decreased efficiency of your HVAC system. On the opposite side of the spectrum too much attic ventilation can be equally as bad. In the most basic sense an additional roof vents creates an additional hole in your roof (roof penetration) which can act as another access point for water to enter into your home. You never want to increase the number of roof penetrations in your for no reason, this can lead to leaks from blowing rain or as an access point for sparks or smoke during a fire. So, what amount of roof ventilation is the right amount? Without exception you should speak with a professional roofing contractor and have them conduct an inspection to determine the ventilation requirements of your home. As a general rule you can follow the 3-1 Ventilation Rule, so for every 300 sq/ft of ceiling space you want to have 1 sq/ft of attic ventilation. Ideally this would be 1 sq/ft of un obstructed intake ventilation (soffits) and 1st/ft of exhaust (roof vent). If your is sectioned off into various partitions determining the correct amount of ventilation can be more difficult. The majority of people believe that the only importance of roof attic ventilation is to increase the energy efficiency during the summer months. Although proper attic ventilation can help with this it is equally as important to take into consideration shingle color, sun exposure, and insulation. In fact, the colder the climate the more likely that your home will benefit from having the proper attic ventilation. When dealing with warmer climates you don't need to deal with condensation- think about how often dew forms on your grass. In these climates, hot attic spaces are eliminated by installing a thermal barrier along the roof line, instead of the attic floor. 3. Roof Vents Remove Warm Air During Winter Months. Many people get this misconception that because hot air rises, the attic ventilation draws all the heat upward in your home and pulls it out of your home causing un-necessary drag on your homes furnace equipment. If you are noticing increased strain on your homes HVAV system during the winter months you have much larger problems than attic ventilation and you should really be focusing on the insulation. In the majority of homes your furnace should not be heating your attic space, unless your home is designed with insulation directly on the roof deck and is designed without ventilation. The worst situation is when due to poor insulation warm humid moist air is allowed to enter the attic space from the interior of the home, when this warm moist air hits the roof it will likely form condensation which will deteriorate your roof decking, ruin the insulation you have and causing interior damage in the process. As an easy test for you wait until the sun goes down and enter into your attic with a digital thermometer and flashlight and take a reading, this reading should be almost the same as the exterior temperature. In some ways, roof ventilation is as much as an art as it is a science, and installing your own roof vents based on something you read online is like trying to diagnose a skin rash using WebMD. Finding a trusted and experienced roofer who has worked in your region for his or her entire career is a better judge for your particular roof than any research study or online "expert." It is hard to find a group of people that will agree on what the best attic ventilation system is but everyone will agree on the importance of attic ventilation. For example systems such as a ridge vent which when installed correctly using the right product is arguably the best roofing system, while if you install a ridge vent without baffles that prevent outside air from crossing over the vent, a ridge vent may create almost no attic ventilation at all, as this outside air crosses over the vent and keeps air trapped inside your attic. Gable vents may circulate air through only a small percentage of your attic. Static, roof-line, vents are effective for ventilation, but generally aren't recommended due to issues with leaks. Soffit vents may leave air trapped at the top of your attic. Most effective ventilation uses a ridge-and-soffit continuous ventilation system, but even these designs can vary from roof to roof. If you don't know how your roof vents work, or if you're unsure about your ventilation in general, you should talk to a roof inspector about your current system and any inherent weaknesses that may be at work. The risk/reward for having no attic ventilation or poor attic ventilation, along with the negligible cost of installing a good-working attic ventilation system makes them one of the unforgivable sins of home maintenance negligence. Repairs - Generally with repairs needed for your roof, a roofing contractor may be necessary to help you not only determine the extent of damages and repairs necessary, as some may be hard to detect, but to ensure that the repairs are done properly, and in a timely manner. They are informed and knowledgeable on the types of repairs necessary, as well as how to follow proper safety techniques leaving injuries and work damages out of the question, and are properly ensured in the event of these instances should they happen. 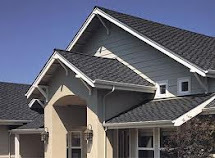 Installations - In the event you are looking to have a new roof installed, whether residential or commercial, having a skilled professional roofing company can help you come to the conclusion regarding the right roofing materials for you, as well as proper design and construction of your roof, that can be done efficiently and timely. Area Specifications - Certain geographical areas have different types of weather, causing different types of damages. For instance, in Arizona, extreme heat and sun damage can cause warping and fading, and in the monsoon season, if your roof is poorly constructed, or damages have already been made, leaks and standing water can occur, eventually entering the home, which can also create mold, as well as weaken the whole roofing structure. They are skilled in this type of knowledge and can help you determine the types of weather damages specific to your specific area. Insured - One of the best ways to help you determine when a roofing contractor is needed, would be to consider coverage or insurance. The everyday individual, homeowner's and business owners alike, typically do not possess the insurance coverage necessary to perform roofing installations and repairs, as they would have to pay large costs out-of-pocket for any personal damage, bodily injury or other liabilities than come with roofing, and roofing contractors almost always possess the full amounts of coverage necessary to protect themselves as well as you and your home from these risks. Take this useful information into thoughtful consideration when trying to determine when a roofing contractor is needed, when the roof need be replaced or simply just in need of repair. You also can use this to consider the benefits having a professional and insured roofing contractor work on your home, as opposed to any potential cost saving from doing the roof repair yourself. Your roof is one of the most important aspects of your home. If you neglect it, chances are that it can literally come down over your head. Experts believe that you need to get your roof inspected at least twice a year. The main idea is to check for seasonal stress and any other damage that your roof may have been subjected to. The best times to check are in spring and in fall. When you get in the experts to check your roof, here is what you can expect them to do. They will first look at the inside of your home. They will look for spots where your roof may be sagging in a bit. They will also look for any sign of water damage or excessive leakage. Tell tale signs will be dark spots on your walls or trails. If there any place where outdoor light in visible through the roof, then this will be looked into. Next the experts will get onto the roof and check it from the outside. They will look for flashing that is damaged, shingles that may be missing, tiles that maybe curling or blistering or any part of the roof that seems like it is buckling under the weight. They will also check for growth of algae or any signs of rotting. When a check is being conducted on the outside, all the extra fittings such as that of chimneys, vents as well as drain pipes will be inspected for any damage, leak or clogging. They will look at your gutters and check for excessive shingle dust that can result in clogging. With such clogging the growth of water-borne mold and fungus too is pretty high. All of these inspections can be a do-it-yourself job too if you like. Once you know the condition of your roof, you can call in the experts to help you with dealing with it. If you are doing this for the first time, then make sure that the expert you call in is of good reputation. Check with friends and family and work on the basis of recommendations. Once you have the contact of a reliable roofing contractor, then you can call them in to discuss what work you need done. Getting your roof examined on a regular basis ensures that you are not suddenly faced with a massive roofing repair job. It can be really expensive and the last thing you would want is a crunch in funds. Bet that is one phone call you don't want to be making. Do you? But never fear help is at hand. Making regular inspections of your roof and getting the appropriate assistance from an expert roofer can save you a lot of money, time and heartache down the line. So how can you tell that there's a problem with your roof? Whether you have a town house or a bungalow the rooms below your roof will also be able to tell you if you have a problem. Here's a little tip, you may want to take a torch, and some chalk with you. Why? I guess you can work out the torch yourself? But the chalk is to mark any possible dark or damp patches or suspect areas you may want to re-inspect later. Doing an inspection either during or after heavy rain may also make it easier for you to spot any damp patches or leaks. Once you've checked inside the roof space turn out the light. You can then look for chinks of light from outside, shining through. If you find any holes use a nail or piece of wire in the hole to visibly mark them from the outside. What to look for out on the roof. Well it depends what kind of roof you have? Are the tiles the same shape, size and texture? Are any broken, or chipped? Check for straight lines, if any of the rows appear to be bowing it's unlikely to be completely weatherproof. The boards on which the roof is placed may have become soft or water damaged. If you notice anything that you think looks irregular, or you think that this is really too much for you to do yourself. Then please take no chances, get on the phone and call in a professional roofer. They are more experienced, the job that might take you hours to prepare for and do, can be carried out quickly and efficiently and they might even see things you would have missed. ABOVE ALL ROOFING CO. is a family owned and operated contractor located in Vacaville, California; serving the surrounding counties and the Bay Area. We are here for all your roofing needs. We have extensive knowledge, with 37 years of experience in many types of roofing systems. Our goal is to provide you with quality workmanship, timely service and fair pricing. Our estimates are always free. We are licensed, bonded and insured and a member of the Better Business Bureau. What Do Roofing Contractors Think About GAF Shingles & Roof Systems? We asked several roofers what they think about using GAF shingles & Roofing Systems - here's what they had to say!